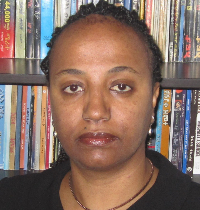 Elizabeth was born and raised in Ethiopia and has over 20 years of full-time professional work experience here in the USA and in Ethiopia. Elizabeth is a Certified Public Accountant and a Certified Internal Auditor with an MBA focusing in Finance from the University of Southern California, USC. She currently works at the City of Los Angeles, Department of Water and Power as a Budget Manager. Elizabeth likes to spend her free time volunteering for non-profit organizations.